Shillong, May 29 : Bangladesh and India are set to have another link with the introduction of the much-awaited Shillong-Dhaka bus service. 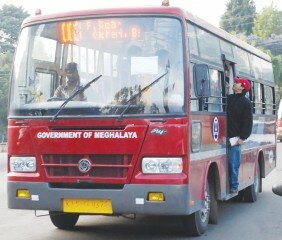 Meghalaya transport minister HDR Lyngdoh said India and Bangladesh have mutually agreed to start the bus service and both governments have cleared it. Lyngdoh said, "We hope we can commence the bus service soon as we already have road connectivity". The Meghalaya government had sent a proposal in 2002 to the Centre for introduction of a direct bus between Shillong and Dhaka, connecting Sylhet in Bangladesh and Dawki in Meghalaya. "After the proposal was submitted by the state government 10 years ago, the Centre had given the nod for the project while asking whether the state was prepared to go ahead with the project as infrastructure along the border was minimal," a state government official said. "The Meghalaya government later communicated to the Centre its willingness to start the bus service, expecting financial assistance from the Centre," the official added. Home minister Lyngdoh said the bus service would not only ease travelling to Bangladesh but would promote tourism between the two countries. Meghalaya shares mutual interests in terms of trade besides geographical and historical contiguity with the neighbouring country. Though Bangladesh is next door, people from Meghalaya now either go to Kolkata or Agartala, where the only visa office in the Northeast is located. Asked if the bus service would encourage influx, as feared by some NGOs, Lyngdoh assured that the government would take care of the issue and that travelers would be required to possess valid passports and requisite visas by producing required documents.